Secondly, I have to apologize for not being an avid blogger and instead being a sleep deprived, food-devouring zombie. Good news is that I'm leaving for Seattle in twelve hours and I'm bringing with me some precious cargo: my laptop where all desirable magic is brewed, and my grandma who has a thing for taking heinous amounts of pictures. My suitcase is overflowing with the strangest items in my closet so I promise, absolutely promise some outfit fun when I get back. Lastly, my friend and I are starting up our own zine which should be coming out sometime in August. I'll have some links/more information for you soon. Email me if you are interested, we're open to just about anything as far as writing and art goes. If you even have an inkling of interest in getting involved, talk to me. I'll convince you to actually do it. Get excited kids! first off ... this collection is nothing short of brilliant! secondly, A ZINE?! let's get married, we are soul mates. what kind of a zine is it? i had this mini editorial idea that I was thinking of doing, I would love somewhere to put it! 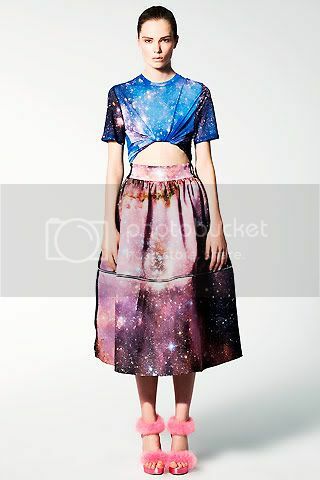 I love that galaxy print :o the last two are perfect! Your zine sounds great, loads of luck with it! that's such an awesome title for it! i don't know very much about art but literature and fashion each have their respective halves in my heart. I love them both equally. art you looking for more article-style pieces? or more photo based with little bits of writing? this collection is ridiculously good. i want it. now. LOVE!! Amazing love digital printing!! 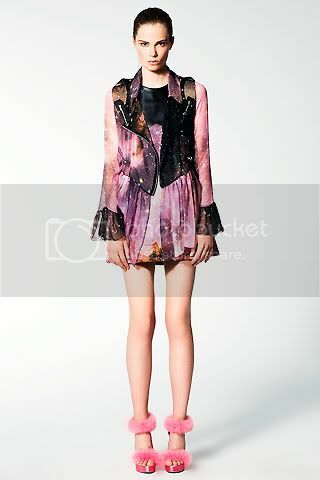 The first piece is beautiful and I love the galactic print of the last few. 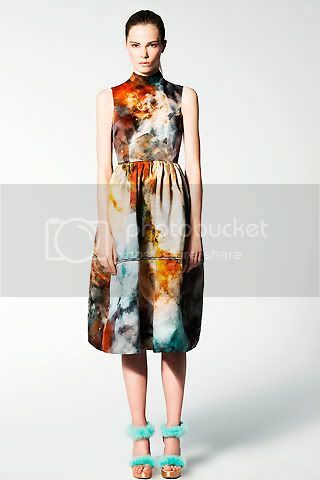 The prints are so intriguing.. would love to own one in a gown! ah this collection is amazing. 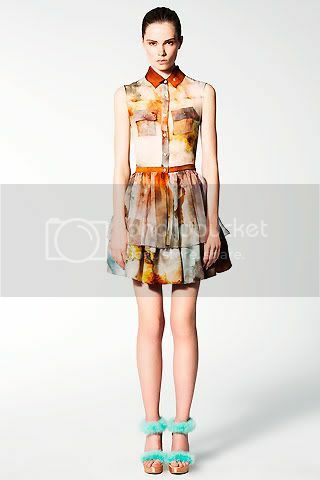 christopher kane never ceases to amaze me! so rad. excited for your zine! wow these are really nice prints! reminds me of nebula and tavi. but I'm sad that there are not many nebula or similar collections for men. LOVE this collection! YUM YUM!! !